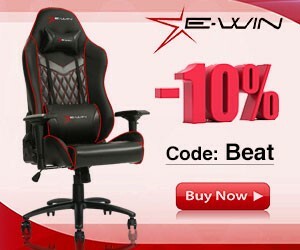 Use code BEAT at checkout to get 10% off all gaming chairs! Since its creation in early 2010 IBeatItFirst.com has been dedicated to creating news and reviews for gamers, by gamers. From the latest PC to Console games, IBeatItFirst.com is full of reviews without hype or exaggeration, giving you an honest working man’s perspective into what games are hot or not. Focusing on games & peripherals coming out, and not snacks & comic books like some of the other sites, we keep the site focused and delivering what you want. If ever there is any question on whether you can trust our reviews, just remember 1 thing, according to the internet….